I’ve listed the colors below that I use on my palette, however it’s not mandatory that you use these. (feel free to use what is familiar). 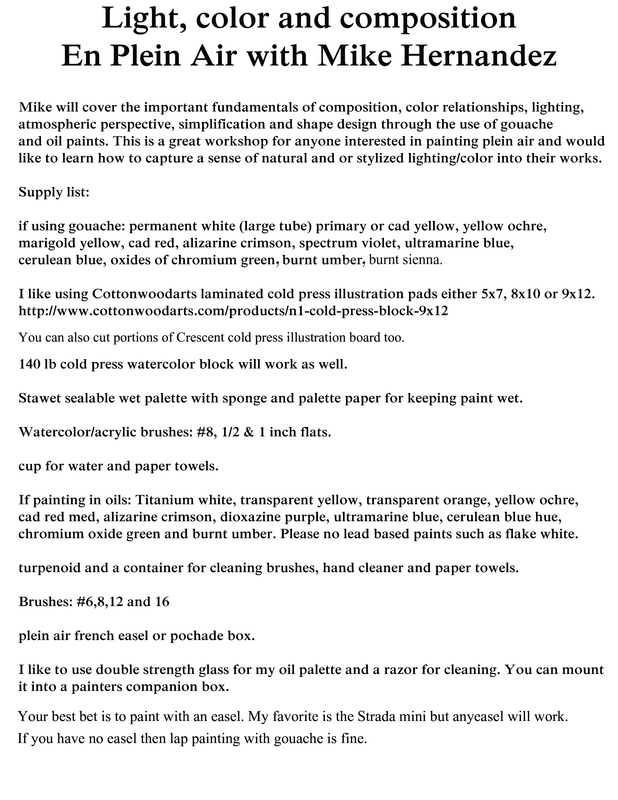 I currently use oil primed linen panels with a medium tooth – (New Traditions Art Panels, C-15 or C-12- portrait linens mounted on board)…For the purpose of the workshop feel free to use cheaper panels. (I will discuss panels and supplies during the workshop).